Kamakura was one of the first places I visited in Japan. 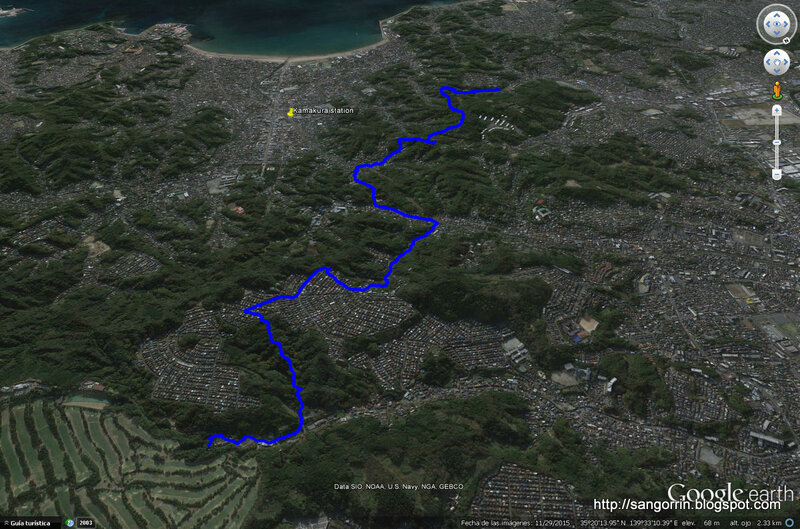 Since then I have been several times in Kamakura, including last month when I walked the Nagoe kiredooshi pass. 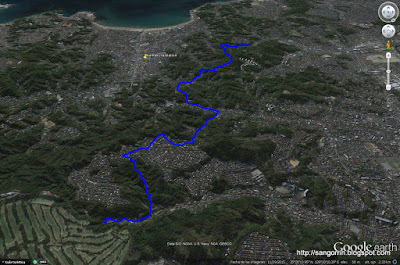 Today I walked another nice trail that started near the Sanzagaike forest park (散在が池森林公園). Here are the details of the route. Go to Oofuna's JR station (大船駅) and take the bus towards Kamakura lake (鎌倉湖畔ゆき) at platform 5. Get off at the Imaizumi fudou (今泉不動) bus stop. Then, follow my GPS log (use Google earth to see the log in context) which will eventually lead you to an Italian restaurant not too far from JR Kamakura station (sorry, I didn't log the last segment but you can guess it from the map), the final destination. Perhaps the main attraction of the route, especially if you travel in June, is the wide diversity of flowers you will see. Lillies (ユリ), Magnolias, and particularly Hortensias (アジサイ) are really abundant and popular. There are also lots of harmless little animals to see such as beetles or lizards; and a wide variety of birds singing all the time. If you live in Tokyo this is a nice one-day trip for escaping from the daily routine.